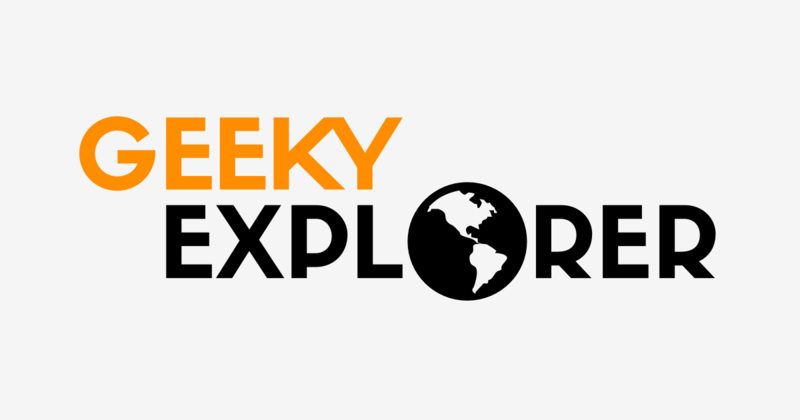 ﻿Geeky Explorer is a travel blog with itineraries and travel guides focused on Portugal as a destination. 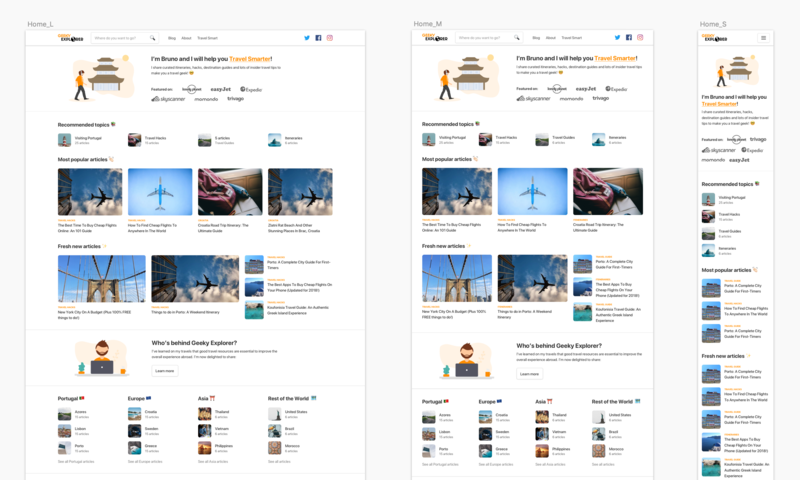 Bruno, the author of the blog, needed a fresh and minimal redesign to kick-off 2019 and we worked together to achieve that. 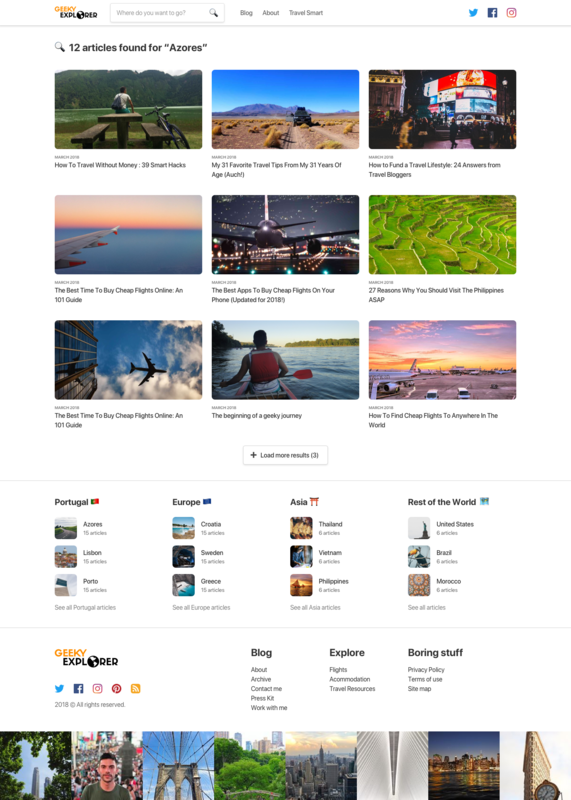 The new design was online in late December of 2018. A clean, modern and fresh new design. Light design with minimal assets for fast page loading. Redesign of articles and travel guides with higher visual impact. When I designed the logo (above) and the first design for Bruno's blog in late 2014 we did something unique that lasted 4 years. For the next iteration, Bruno was looking for a website that looked good and performed even better. I started this project by assembling a quick mood board with Bruno's inspirations. My next step was to focus on the creation of wireframes for all the 9 types of pages that the blog had. Through quick iterations in coffee shops for a couple of Sundays, we got to a design that we were both proud. Creating high-fidelity mockups in Sketch was my next step. Bruno was excited to see beyond the wireframes for the first time and get a sense of the direct I was going. When those 9 pages were finalized and approved by Bruno, I prepared a prototype in InVision so he could share with the design agency that was going to code the new design. During the design implementation phase, I had multiple design-QA sessions to provide feedback and assist with questions or assets required. The most challenging part was to create a responsive experience that was great in any device – especially when 50% of Geeky Explorer's traffic comes from mobile. The final design is live and you can check it out. I also recommend you to have a look at his articles if you ever want to travel to Azores, Portugal and some other destinations. It was a pleasure to work with Bruno and work with someone with the same level of exigence and attention to detail as me. Each one of the 9 different pages was designed in 3 different screen sizes: large (desktop), medium (tablet) and small (mobile). I kept the article page simple and focused on the content: edge-to-edge images and with big, clear text that is comfortable to read. 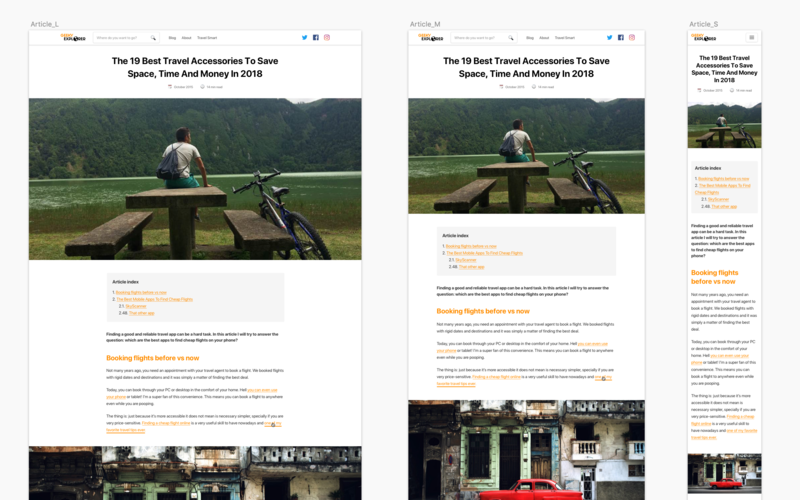 To differentiate Travel Guides from normal articles we tweaked the design of the header and added a sticky menu. These guides are quite detailed, so this menu helps the reader to know which part they are looking at and quickly jump to other section. This page serves the results found in a very visual way, as asked by the author of the blog. It also offers a Categories section with different exit points if you don't find what you were looking for.